Complete amino acid tablet that contains C3X Hyper. Amino Spike is rich in the full spectrum of the 20 amino acids, including essential and branched-chain amino acids, which are particularly useful for bodybuilding. Absorption is fast, so you can immediately use it at a convenient time and place of your choosing. Amino Spike contains 90% pure whey protein isolate (WPI) derived from an amino acid profile that is ideal for the athlete. It is blended with C3X hyper to further optimize the amino acid profile. 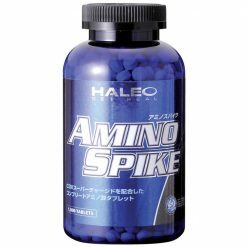 Amino Spike is the only amino acid supplement that uses a BCAA transport system for increased absorption. 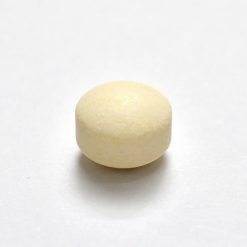 Take 10-20 tablets daily to increase protein intake. For best results, use with C3X and other HALEO products. Can be used anytime. Use before and after exercise for best effect.